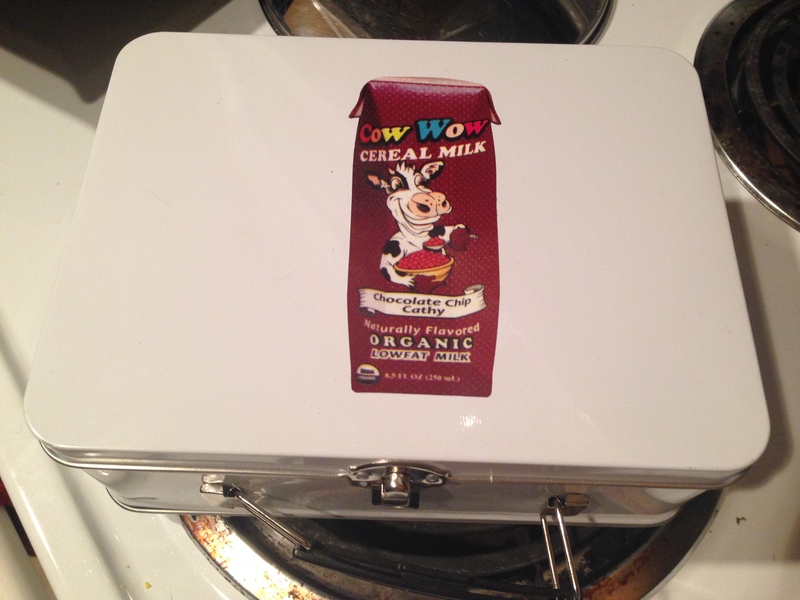 I was recently contacted by the nice folks at Cow Wow to give some of their “Cereal Milk” a try. What’s cereal milk you ask? Well, ever pour yourself a bowl Cocoa Krispies just to get the chocolate milk at the end? What about Fruity pebbles? or Cinnamon Toast crunch? (I knew I’d get you with Cinnamon Toast Crunch!) Who doesn’t love that sweet flavored milk at the bottom of the bowl? 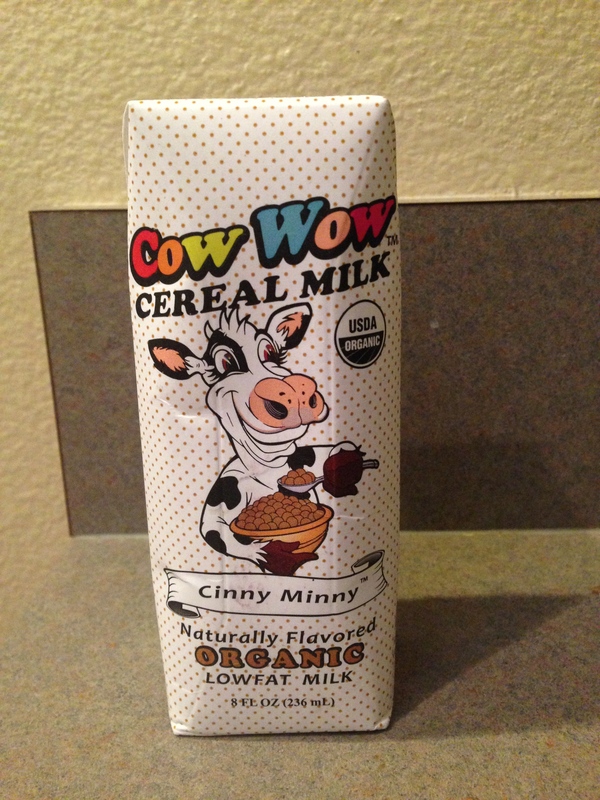 Well, Cow Wow recognized that the milk at the bottom of the bowl was perhaps the best part- so they decided to make those flavored milks available without requiring the cereal! Pretty genius right? They sent me 3 flavors: Fruity Trudy, Chocolate Chip Cathy, and Cinny-Minny. 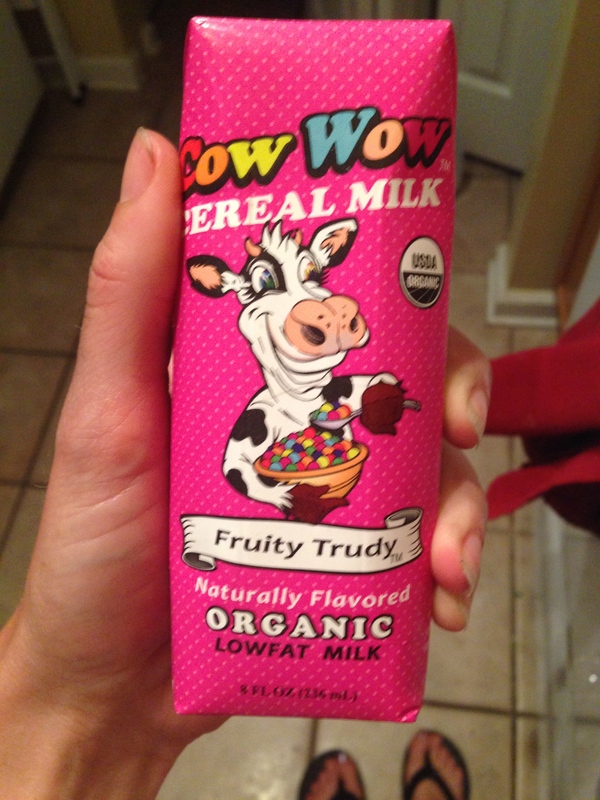 Fruity Trudy is similar to a strawberry milk, but if you are/were a fan of Fruity Pebbles, this is your milk! I drank this one after one of my long bike rides. It was quite tasty, though I was never a huge fan of Fruity Pebbles- mom didn’t keep them in the house! I found it to be pretty sweet- 20 grams of sugar in such a tiny box will do that to you! 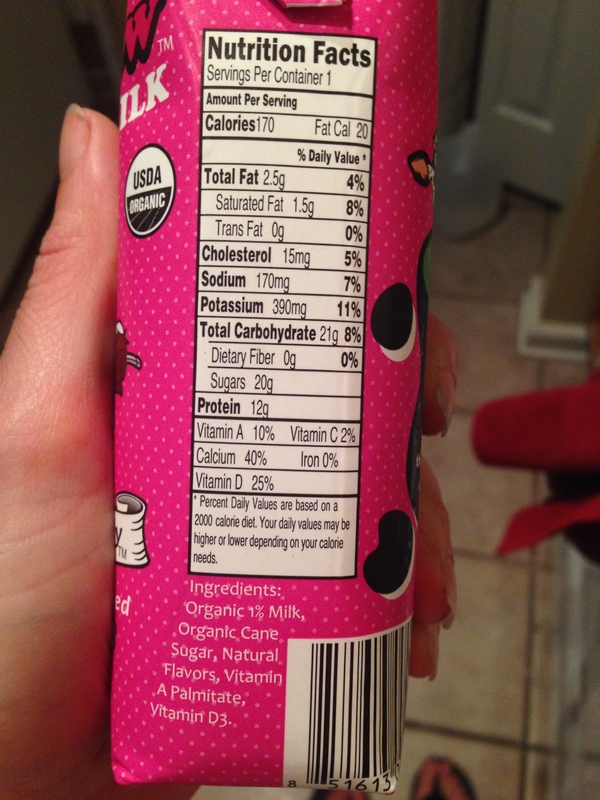 But, only 6 g of it is added sugar- and it is cane sugar, not that HFCS crap! And 12g of protein isn’t too shabby! Now, Cinny-Minny was the one I was most excited to try. I was a big fan of Cinnamon Toast Crunch, so I was really looking forward to this one. It did not disappoint! Again, it was quite sweet, but that was to be expected. 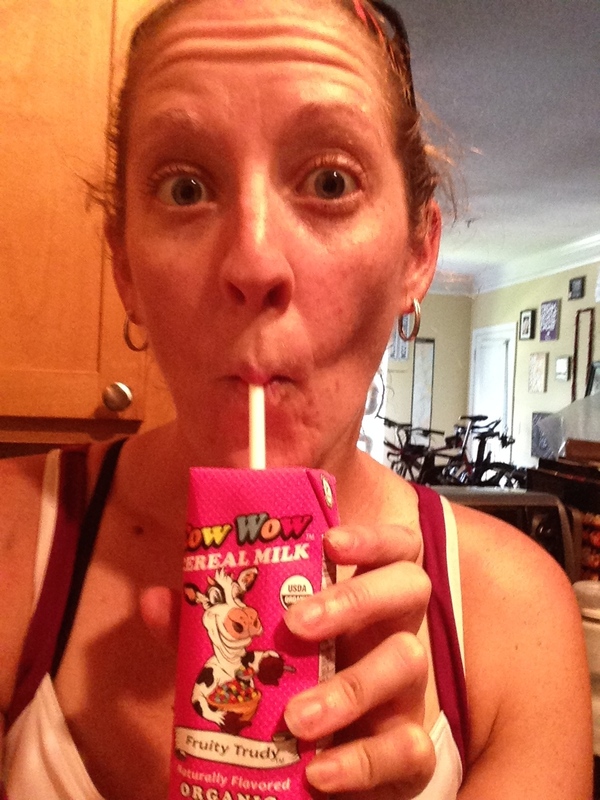 I had a few sips, but I didn’t want to drink the whole thing in one sitting (even though it is only an 8.5 oz box). 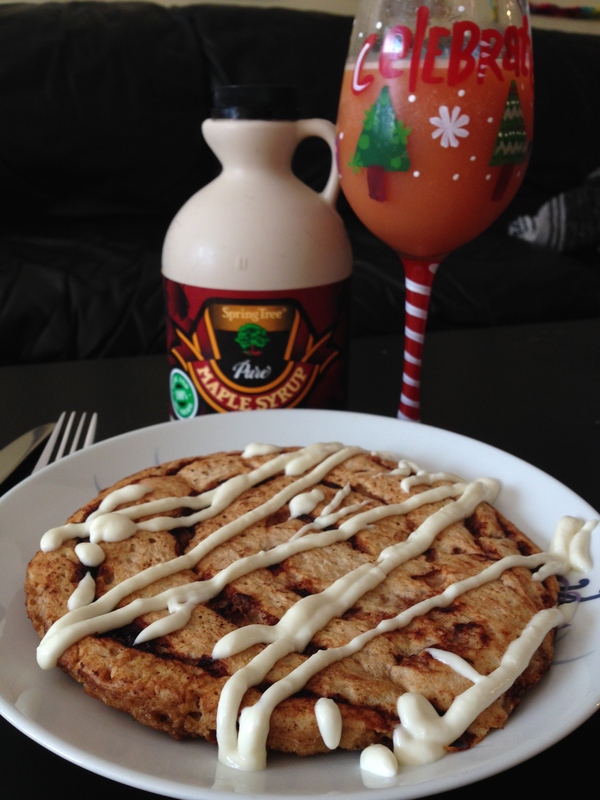 So I opted to make some pancakes with it! This recipe makes enough for 1 with a few left overs. 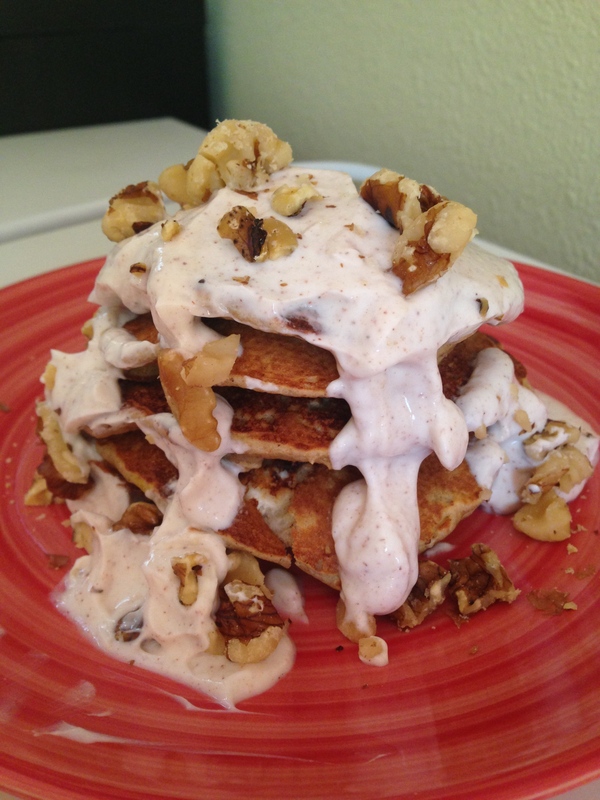 You could probably get two servings out of this if you don’t over-indulge like I did! These were fan-tastic! 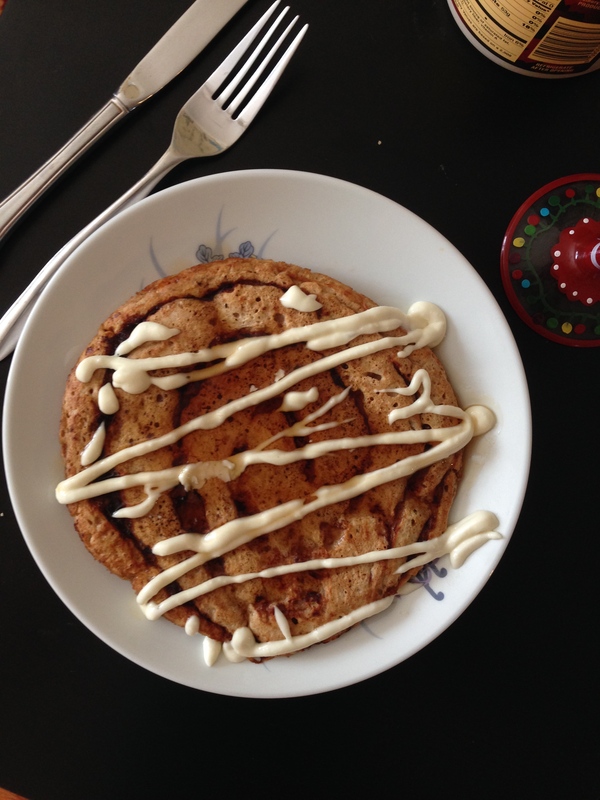 Perfect balance of cinnamon and vanilla – and because of the protein powder, milk and Greek yogurt, they kept me full for hours after! 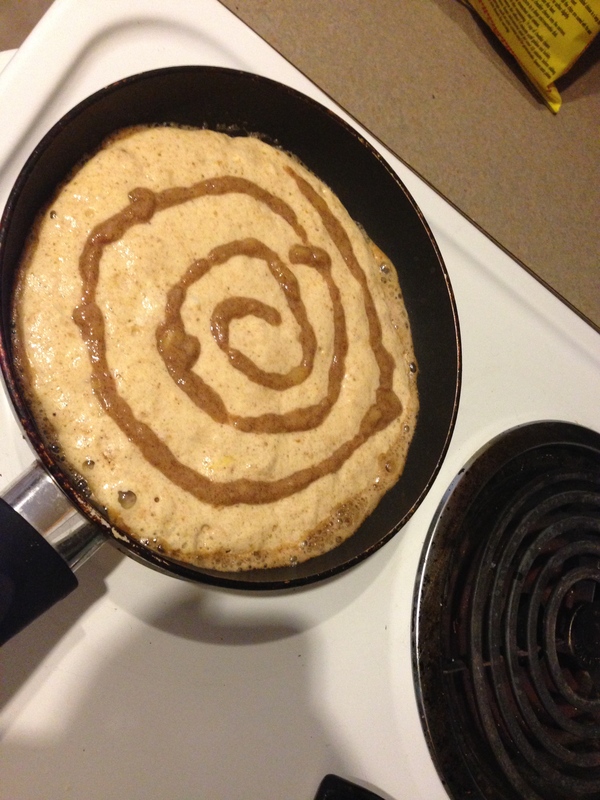 I wish I had another box of the Cinna-Minny thought- it would have been a great complement to the pancakes! 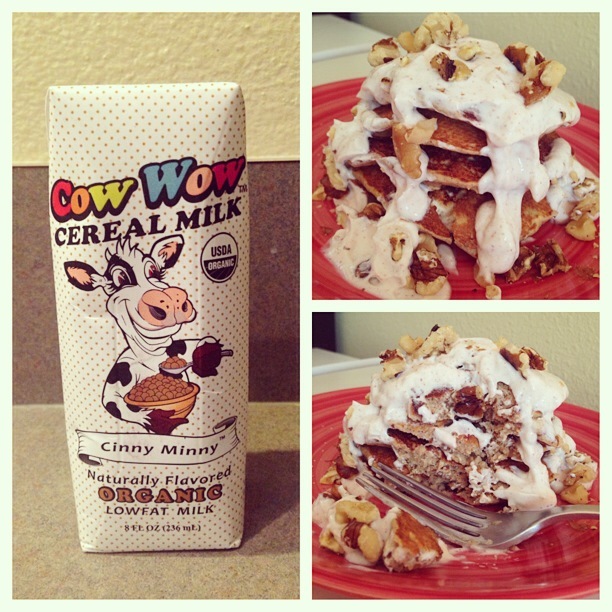 Thanks Cow Wow for letting me try out your cereal milk!